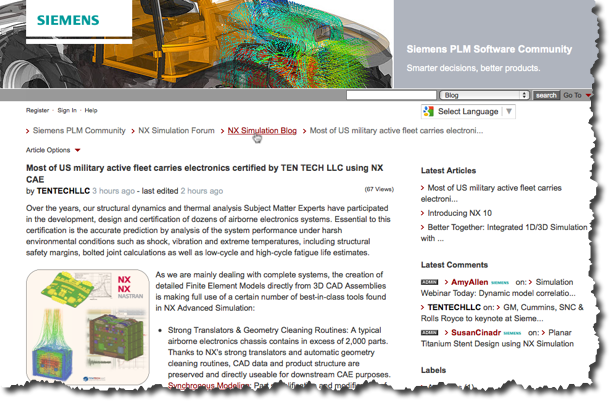 TEN TECH LLC has been invited as a guest blogger by Siemens PLM to discuss topics in the CAE industry. Our first post highlights our company’s involvement in the defense electronics and the qualification of airborne electronics by analysis. Head over to Siemens PLM’s CAE blog to see more.